White spots on fingernails do not indicate calcium deficiency, zinc deficiency or any other vitamin or mineral deficiency, though it worries people. 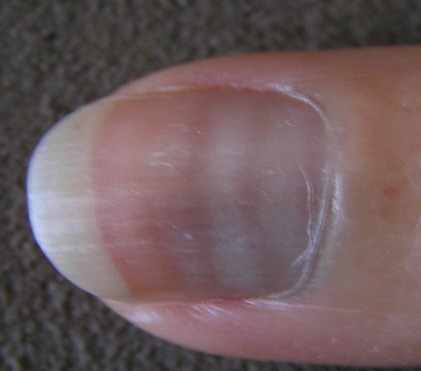 The white spots on fingernails are called “leukonychia” and are very common. Usually they are a result of some minor injury to the base of your nails – for instance, very vigorous pressing with a nail cutter or other manicure tool and even nail biting. Even though the knocking or injury may have happened several weeks ago, the spots show up quite late ; so you may not even realize that this could be the cause. Sometimes white fingernail spots could also be a sign of allergic reaction to nail polish or nail hardeners and sometimes a symptom of mild infection. 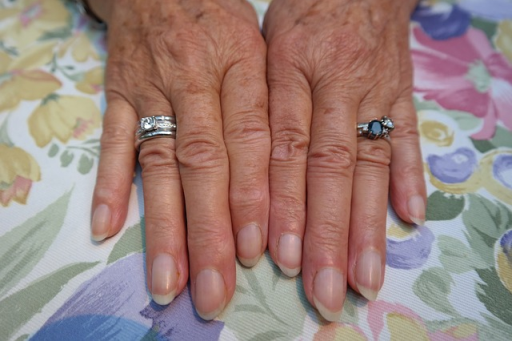 However these white spots on fingernails are temporary and will disappear once your nail grows out but this may take considerable time, even several months. Longitudinal ridges are not uncommon and may be hereditary at times. In any case, they disappear after a certain age. Transverse furrows can also be caused by injury, or they may be the aftermath of such severe infections as measles or pneumonia. In any event, they are not indicative of nutritional deficiency. However, the color of the nails is a sure indicator of the state of your health. 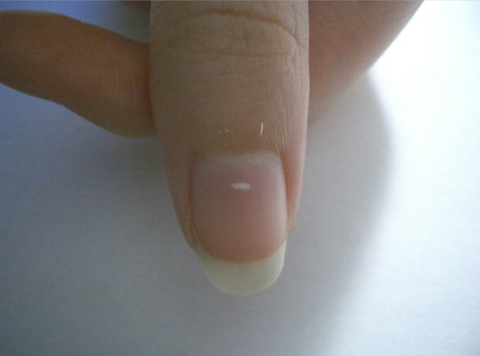 If the nails appear white, it could be anemia or even liver disease. Do read the post Nails reveal your health.